MRI Pathology Research Lab | What can imaging and histology teach us about the human body? What can imaging and histology teach us about the human body? Welcome to the website! My name is Corree (Cornelia) Laule and I’m an MRI physicist in the Departments of Radiology and Pathology & Laboratory Medicine at the University of British Columbia in Vancouver, Canada. I am also an associate member of the Department of Physics & Astronomy, a principal investigator at ICORD and a member of the Djavad Mowafaghian Centre for Brain Health. 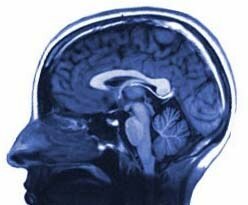 I conduct my research at the UBC MRI Research Centre and in the ICORD building. I was the recipient of the Women Against MS Transitional Career Development Award from the endMS Research and Training Network and the Multiple Sclerosis Society of Canada. "My kind & supportive boss won a gold medal award! Congratulations @brucebforster @UBC_Radiology Very much deserved! https://t.co/744Y9EOsvO"
"In memory of our 13.5 yr old bunny Turbo, we've entered her in the @BC_SPCA calendar fundraising contest. You 'vote… https://t.co/xirrETQBg0"
"One of the most meaningful things I've done is co-establish this summer program w/ @CherylNiamath Last year's inaug… https://t.co/Ev5kLEugUH"
"This is fantastic. If you make conference posters, watch this! Thank you @mikemorrison #betterposter #science… https://t.co/PEJ4AxllWu"
"If my life had gone as planned, I'd be a neurosurgeon right now! Instead I cut up people's brains & spinal cords us… https://t.co/8fVtDC3Lj4"
Copyright © 2013 Cornelia Laule | Powered by WordPress.